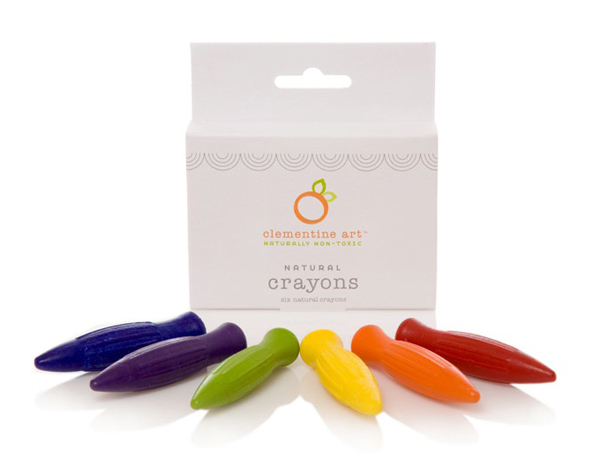 Clementine Art supplies are made from all natural materials and non-toxic ingredients and packaged in 80% recycled materials. And they're beautiful and designed for kids to enjoy using. The modeling dough for example has colors dyed with carmine, spinach and tumeric! The company was started for art teachers from Boulder, CO who realized that non-toxic wasn't sufficient for art supplies that end up in kids' mouths, hair and all over the place. What beautiful packaging. Prices are reasonable as well. Order online at www.clementineart.com.